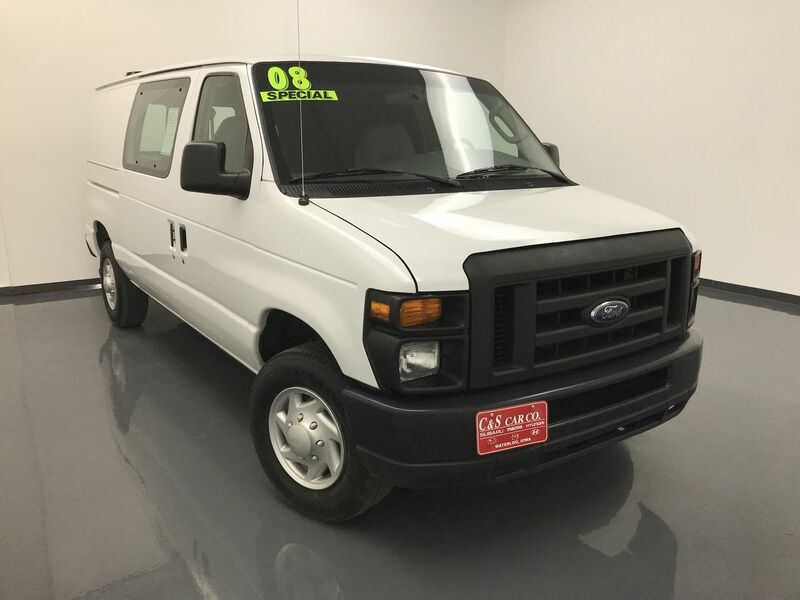 2008 Ford Econoline E-250 3/4 ton Cargo Van. This E-250 cargo van has a Redline electronic trailer brake controller, an aftermarket Dual AM/FM/CD sound system with XM satellite radio, 16" alloy wheels with Firestone tires, and a 2" receiver hitch. Call C & S Car toll free at 866-212-8718 or locally at 319-291-7321.